Julia Alvarez shares the key elements of her life and work as a novelist, poet and researcher. In 2013, Julia Alvarez was presented with the National Medal of Arts by President Obama for her “extraordinary storytelling.” This storytelling, with its intricate twists and turns, is layered with substantive ideas and themes – deeply human ones, both personal and societal. 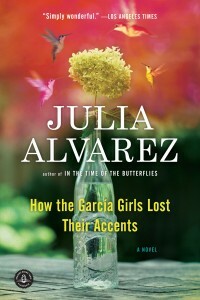 Julia Alvarez has fascinated readers, and writers, too, since her highly successful debut novel How the Garcia Girls Lost Their Accents, about the difficult process of assimilation into a new culture. How will four young girls raised in the Dominican Republic make the transition into American society with its significant language as well as cultural differences? Along the way, they also confront their father’s old-world conservatism. “I don’t want loose women in my family,” the father says. “His daughters,” explains the narrator, “had had to put up with this kind of attitude in an unsympathetic era. They grew up in the late sixties. Those were the days when wearing jeans and hoop earrings, smoking a little dope, and sleeping with their classmates were considered political acts against the military-industrial complex. But standing up to their father was a different matter altogether.” Yet they do stand up to him to chart their own paths and arrive at a sense of self. Personal identity is one of those deeply human themes Alvarez returns to regularly. Gender and race are also recurring topics. In the story, the Garcia family relocation isn’t a free choice; the father is working in the underground resistance against the ruthless dictator, Rafael Trujillo, and faces imminent imprisonment. The family is forced into exile, just as Alvarez’s own family was when her father got involved in the underground resistance to Trujillo. The tyranny of dictatorship and the problem of exile arise as additional themes in her writing. In a second novel, In the Time of the Butterflies, Alvarez provides a fictional account of three historical revolutionary figures, the Mirabal sisters, who grew up during the Trujillo dictatorship and lost their lives bravely attempting to overthrow it. Kirkus Reviews hailed the book as “a paean to the power of female courage.” More courageous revolutionary women from Dominican history – the poet Salomé Ureña de Henríquez and her daughter Camila, a college professor living in exile – are the topic of Alvarez’s fourth novel, In the Name of Salomé, set in three countries and spanning two centuries. Beyond the five novels she has published, she’s also written nearly a dozen children’s and YA works, three volumes of poetry and three works of nonfiction. While she devotes most of her time to writing, publishing and lecturing, she is also writer-in-residence at Middlebury College in Vermont, and a co-founder with her husband Bill Eichner of Alta Gracia, a Domincan Republic-based farm-literacy center devoted to growing organic coffee and promoting literacy. 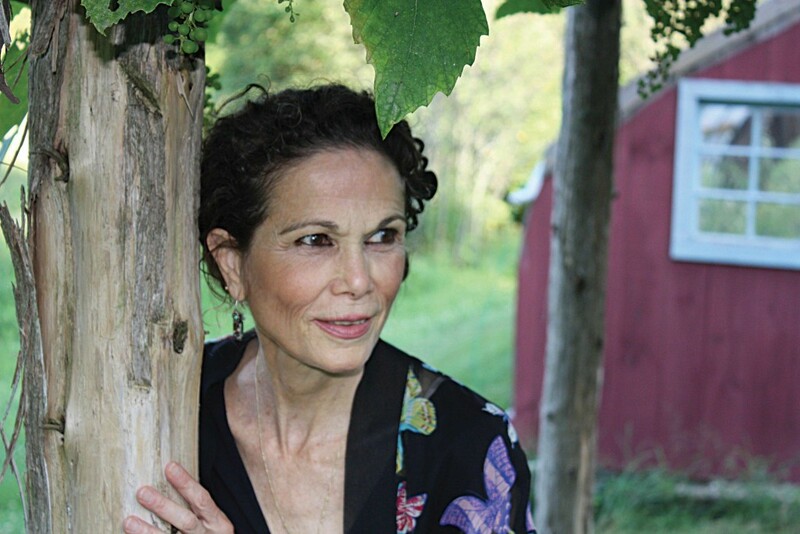 I phoned Julia Alvarez at her office in Middlebury. What follows is an edited version of our conversation. In How the Garcia Girls Lost Their Accents, you deal with the themes of exile, assimilation and identity. Can you say what each of the four Garcia sisters learns in this coming-of-age novel? Do they learn anything in common? 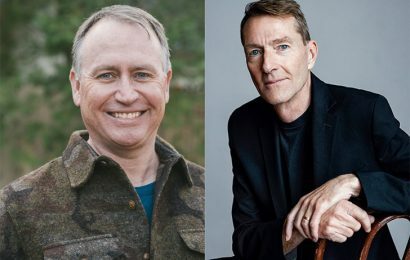 What characters learn is integrated so much into the fiber of their being, into the language of the story and the structure of the novel that to try to pick out one string and say this is what they learned – you may not be able to do that. In this novel, four sisters have to reinvent themselves in a new language, a new country, a new way of being, and so in the beginning, I entitled the novel Daughters of Invention from one of the stories in the book. Shannon Ravenel, my wonderfully intuitive editor from Algonquin, wasn’t happy with the title. We went around and around on it, and finally, when we were up against the wire, she said, “OK, let’s just brainstorm. What is the novel about?” And I said, “Oh, Shannon, come on. It’s about blah, blah, blah, blah.” But then I said, “It’s about how the Garcia girls lost their accents.” And she said, “That’s it!” And so I think that I got to the essence with that descriptive title. You lose something, and yet you gain certain things in any process of transition, and when that also involves translation into another language, a culture, you have to leave something behind. Each of the sisters, depending on her personality, is affected by that process of transition. Even though they’re that unit of four sisters, they’re also individuals. One will find her way of integrating that transition or failing at it, but I think that throughout, the telling of stories – the mother tells stories, the father tells stories and the daughters tell stories to each other – becomes the string in the labyrinth for them. Storytelling. Stories create meaning and structure out of the chaos. They are a blueprint for experience. I think that is part of how they’re all helped, some more successfully than others. Why did you decide to narrate this novel in reverse order, from present to past? 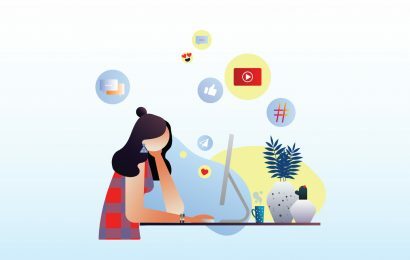 The typical Bildungsroman, the novel of growing up, first of all traditionally involves a single character reaching a kind of epiphany or self-realization, and it has a forward trajectory, which is the classic structure of the novel. But I wanted to structure the novel so that the reader can experience, not by being told but shown, what it feels like to be an immigrant – you’re always going back, going back to where you came from to measure who you are today. So plot in a novel is not just how you’re going to fit all the pieces together or how you’re going to do the chronology. Plot is more sophisticated than that. It’s a way of structuring the way the reader thinks and feels. Can you comment on your use of personal experience in creating this novel? 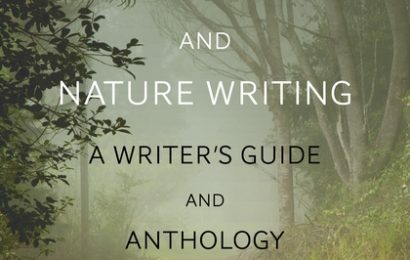 How do we as writers learn about life? From our experience. Our research. It doesn’t just have to be library research. 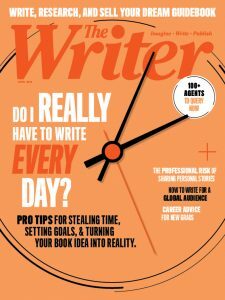 For a young writer asking for advice, Henry James said, “Try to be one of the people on whom nothing is lost.” The writer is always researching, paying attention, learning things about people, about experience. And all that comes to bear on what you write. But this is the catch: You can’t let what really happened tyrannize the story. The story has its own demands. It becomes its own kind of critter and organism, and you have to listen to that and its characters. So you have to change the “truth” of what really happened. You’re not trying to do a record by show and tell. You’re trying to create a work of art. You shift points of view in this novel from third to first. This creates an interesting tonal effect. How are these point of view shifts useful as technical devices? Techniques are just tools on the wall to help you get at what best reflects the stories in your heart to tell. For me, certain characters are more real, or more realized, depending on the angle you see them from. It’s like when you’re looking at birds with binoculars. You have to keep adjusting the lens, far or near. In fiction writing, it comes down to capturing the right feeling. Sometimes I write a story in the first person and then change to third and then back to first, and I’ll do sections in one or the other to really understand what it is that will reveal the character’s emotional state and will best work for the story and the integration of everything. What inspired you to write In the Time of the Butterflies? Did you have a goal for this political novel? I was starting to read a lot of children’s literature because my husband and I have a literacy center in the Dominican Republic. I was looking for books and stories and novels that addressed our history in the Americas. And there weren’t that many for young readers. I saw that they had a lot of books about the Holocaust and about slavery, but not that much about kids growing up in a dictatorship up and down the Americas, which was the phenomenon of the last century in many of our countries. Many Latinos in the Dominican Republic had grandparents or parents who had fled from dictatorships. I wanted our own Anne Frank story. And that was really the story I set in the Dominican Republic in the Trujillo dictatorship. And yet this novel is much more than a political novel dealing with the Dominican Republic’s dark past. As you’ve famously said about your fiction, “A novel is not, after all, a historical document, but a way to travel through the human heart.” Can you speak to this? Emphasizing polemics and the political, trying to push for an agenda, makes the work dated. It might serve a purpose during its time, but it doesn’t become useful down the ages. If you can become immersed enough in the people behind the history, their feelings, their passions, their dreams, if you explore all that, then you’re touching everybody, not just the people affected at a given time or place. What works is getting to the heart of who these people are. That doesn’t change. That’s not going to change. This novel never feels overdone or overwrought in its representations of the horrors of the Trujillo regime, and yet you do not pull any punches. How did you avoid coming on too strong and yet not minimizing in any way the importance of the revolutionary cause? It’s not like an action film where you really want to titillate the reader with gratuitous violence. As I’ve said, you pay attention to the human heart of the characters going through this experience. It’s always a question of balance. What you leave out and what you are silent about are sometimes a lot more terrifying and horrible than what you put in. Suggestion can be overpowering. Because when something gets horrible and all you can say is “The horror! The horror!” – which is the way Conrad finishes The Heart of Darkness – that’s more scary than going into a lot of description because then you’ve caught it in language. It is containable. It is caught in its little cage of literature. Trujillo himself seems very real, very human. How did you manage this? This takes us back to the question of character: How you try to capture a certain personality? In this novel, it’s from reading, from listening to stories, from looking at film clips and from listening to a voice. That all takes a mysterious element that even a writer can’t put a finger on. You almost write something you didn’t know you knew. In the Name of Salomé depicts women revolutionaries. Given the large scope of this novel’s setting, this must have taken extensive research. How much? I’m more in the Faulkner tradition. I’m writing my Spanish in English. Florid, flowing, expansive, rococo sounds, the sonority of Spanish closer to the Latin roots than the English, which has been also infused with Anglo Saxon, Germanic words. Really, it’s part of my English. It’s how I write English. Besides a fiction writer, you are also an author of books for children and young adults, a poet and a nonfiction writer. Do you prefer one genre over the other? How do you decide on genre? Whatever I’m writing in a genre, I’m in love with it. I have to be. If I don’t love it into being, who else will? Some stories, some poems, some nonfiction essays, some children’s books present themselves immediately. That’s the genre they should be. But sometimes you have to discover that. You try different things to see what works. My default genre is poetry. That’s where I began. When I lost my parents – both of them in the last three years – for a time I couldn’t bear to read novels. I couldn’t bear to read all those words. I just felt like it was too much. I could read only poetry, and only poetry of a certain kind, especially if it was old. I read every translation out there of Gilgamesh. I wanted to read Dante. As I grow older, I see that those things I left behind are still in me. One is poetry. That rock bottom need of affiliation and affection for language used in that way is probably my first love. Do you have a writing schedule of any kind? What’s a typical day like for you? I believe in schedules. Yet I also tell my students, or anybody who asks, not to follow mine. You’ve got to find out what works for you. And it might even change as you age. I used to love writing late, late into the night. Now I can’t stay up past nine o’clock. But I do believe that whatever it is you come up with, your own way of writing, commit yourself to it. If you have to be in a coffee shop writing, go get your coffee shop, hang a left and go write there. You’ve got to commit to your process. That’s the important thing. That’s the old idea of one percent talent, 99 percent applied to the seat of the pants or to the chair. You’ve got to be there. You’ve got to show up. For me, early in the morning, before the world starts asking me a dozen things and demanding tasks and setting deadlines, is the best time. I always like to begin with poetry, and again, that shows you it must be my first love. I like to write in the morning into the afternoon, and yet I’m finding the older I get I can’t maintain the stamina. I used to be able to write for eight hours. Now I’ve got to take it slower, but I do believe in a schedule. Whatever works. You recently said, “I write to find out what I’m thinking. I write to find out who I am. I write to understand things.” What can early-stage writers take away from this idea? Writers write not because they know things but because they want to find things out. And not just informational things – emotional ones, the whole landscape of human feeling, emotion and passion. They want to experience things. They want to discover. Frost said, “No surprise for the writer, no surprise for the reader.” If you’re not discovering, your words will die on the page. In addition to the National Medal of Arts, Julia Alvarez has won several other prizes and awards, including the Lyric Poetry Award in 2015 from the Poetry Society of America; the F. Scott Fitzgerald Award in 2009; the Hispanic Heritage Award in Literature in 2002; and the General Electric Foundation Award for Younger Writers in 1986. She has won grants from the National Endowment for the Arts and Ingram Merrill Foundation. How the García Girls Lost Their Accents won the 1991 PEN Oakland/Josephine Miles Literary Award. 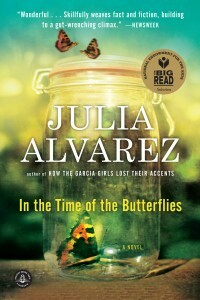 In the Time of the Butterflies is an NEA Big Read title. It was made into a 2001 movie, directed by Mariano Barroso. Her YA novel Before We Were Free won the American Library Association’s Pura Belpré Award in 2004. Alvarez is writer-in-residence at Middlebury College, home of the Bread Loaf Writers’ Conference. She delivered the Middlebury commencement address in May. Jack Smith is the author of Write and Revise for Publication and two satirical novels, Hog to Hog and Icon.